I met the surgeon. The one who will hopefully insert a computer chip into my head. Sounds weird, but that’s how I spent my Friday morning. If you’re just jumping onto the story, you may want to read my previous posts. I woke up at 4:30 a.m. to head to Quebec City, the only city in the province where the cochlear implant surgery is allowed to be performed. They gave me an appointment at 9:30 a.m. and since I’ve been waiting for over a month to get this appointment, I didn’t argue about the time. 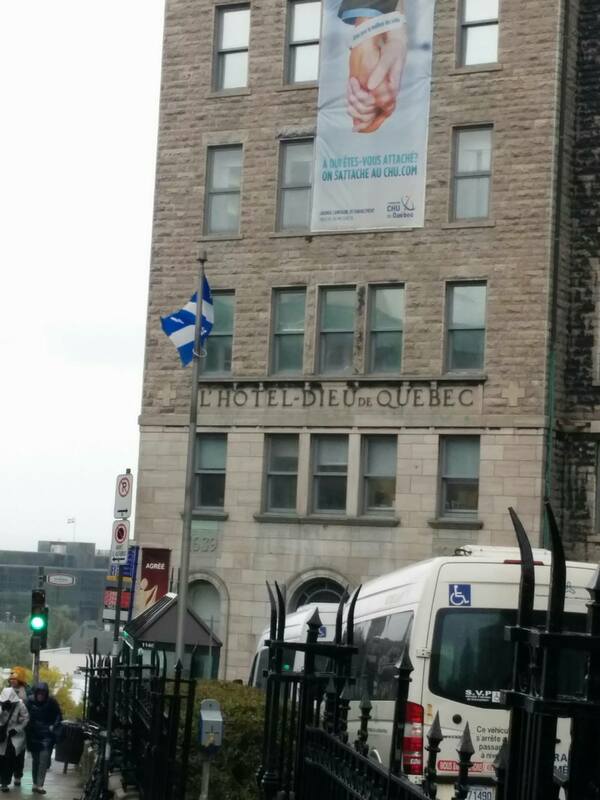 By 8:30 a.m., my parents and I already arrived at the Hotel-Dieu de Quebec, Canada’s oldest hospital in the heart of Quebec City. We took a bit of time to find our way to the audiology department, check in and get my hospital card made. A short time later, Joannie, the hospital’s audiologist came to get us from the waiting area. We followed her into her office and she made us feel at home. She explained that the goal of meeting today was for her to get some information from me, and also so that she could explain the whole CI process in detail. She spoke to my parents a bit and my mom described what happened when they first noticed I was losing some hearing when I three years old. She asked me what I do for a living, what my job title is (and probably couldn’t believe the long title) and what my job entails. Then she asked me to describe my (extremely active) life outside of work. She wanted to know what my goals in getting the CI were. She then explained to me exactly how the ear works, and how a CI works. She showed me the device that would be inbedded under the skin behind my ear, and using a model of the head/ear, she showed me exactly where. The internal device, called the receiver, was bigger than I expected. It’s a computer chip with really thin fibers called electrode arrays. The electrode arrays will be inserted into the cochlea – the part of the ear that allows you to hear – and replace the dead cells that normally do this job. 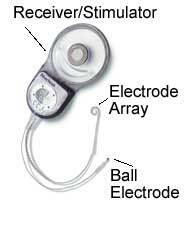 She showed me an example of the external device I would have to wear, that would send sound to the implanted device. She then told me that meeting her was only half of step one in this whole process. The second half of the step was to meet with the surgeon after. 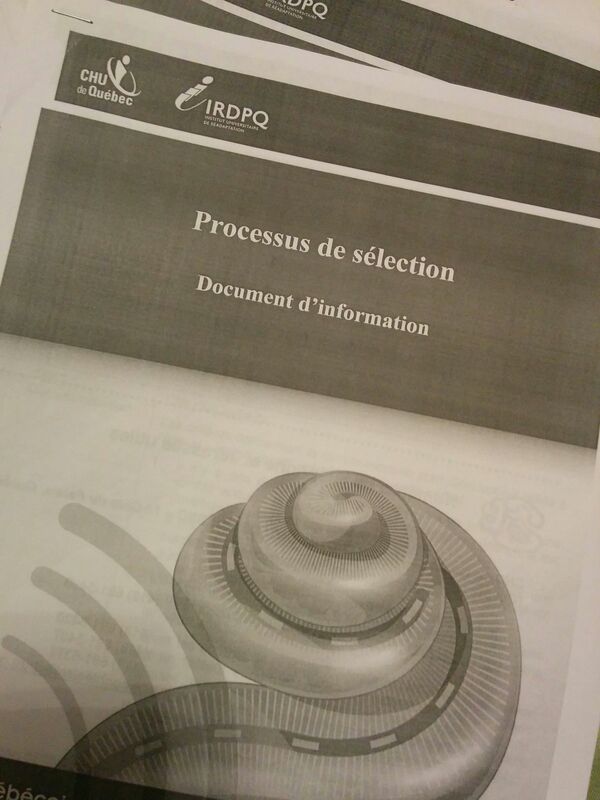 The whole CI process consists of eight steps. She took a good 45 minutes to go through all of the steps with me in detail and told me what I should expect during each one. She was very patient as I had trouble lipreading her at times so she would repeat and slow down. Afterwards, she introduced to me to the surgeon. My meeting with him only lasted about five minutes. His goal was to find out if my health allowed for the CI surgery. He asked me a few questions about my health while taking notes. He examined my ears to make sure they are infection-free. Then he looked at my CT scan and explained that he needs to see if my cochlea is in good shape. 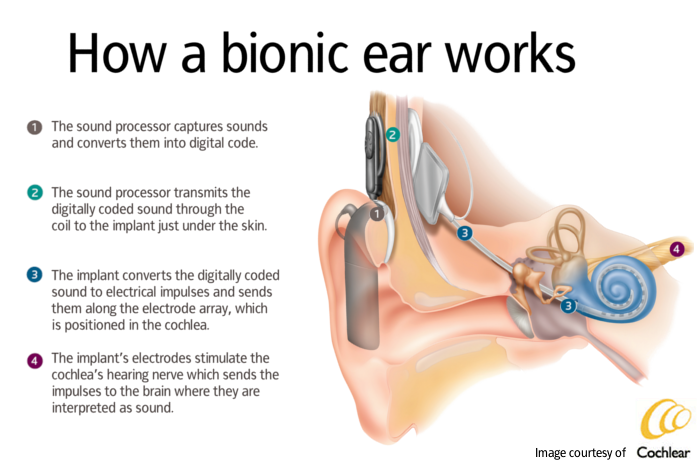 Since it’s the part of the ear that they will insert the electrode arrays into, it can’t have any abnormal formations. I was relieved when he said it was fine – this was the only criteria I needed to check off for successfully completing step one. Next step: Waiting for the call for the second appointment- get a hearing test done with another audiologist and get assessed by a psychologist to see if I’m ready to cope with the demanding journey ahead.